The PlayStation Classic will feature 20 games from the first PlayStation console’s library, but it won’t get any more games after it’s released. With these classic versions of older consoles getting re-released in a more compact form, they come pre-loaded with some of the most popular games of the time. As far as adding more games to the PlayStation Classic is concerned, Sony appears to be following Nintendo’s NES and SNES Classic footsteps by having no plans to add additional games after the classic console is released. IGN received a statement from a PlayStation spokesperson when inquiring about the prospect of post-release content and was told that the games the console ships with are the only ones planned to be released. “There are no plans to bring new content to PlayStation Classic post-launch," a PlayStation spokesperson told IGN. Nintendo also had and has no plans to add games to its Classic consoles as well with the SNES Classic having 21 games and the NES Classic having 30, numbers not far off from Sony’s 20 games on the PlayStation Classic. 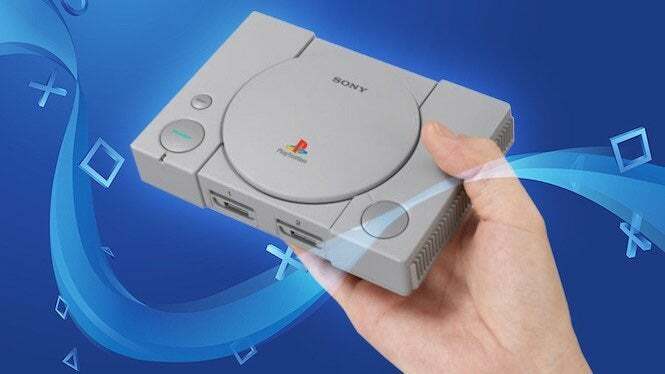 It wasn’t long before owners of Nintendo’s Classic consoles figured out how to hack their devices to add support for more games though, vastly increasing the library of games that could be played on the consoles, so it’s not difficult to imagine that PlayStation Classic owners will do the same once they get their hands on the miniature PlayStation Classic. As for the games that’ll be on the PlayStation Classic, only five of them have been confirmed so far with 15 more to go still remaining unnamed. The collection that’s known to be included on the console can be found here, but we also have some suggestions for games that should be on the list as well. The full list of 20 games will differ depending on what region console owners are in though, so not everyone will have the same experience. “The 20 titles launching with the PlayStation Classic were selected due to their popularity amongst original PlayStation fans," the spokesperson told IGN. "However, it is important to note that the title list is tailored to each region."